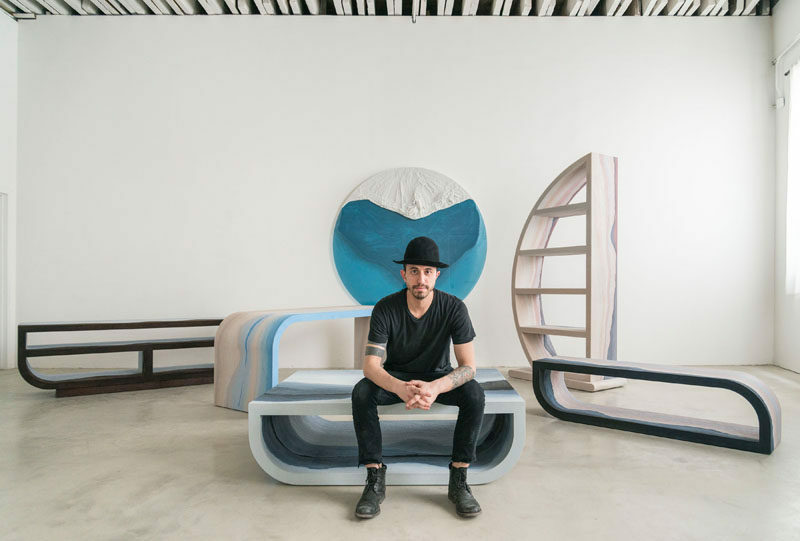 Artist and designer Fernando Mastrangelo has created the Escape Collection, a group of modern furniture pieces that look like three-dimensional landscape paintings. 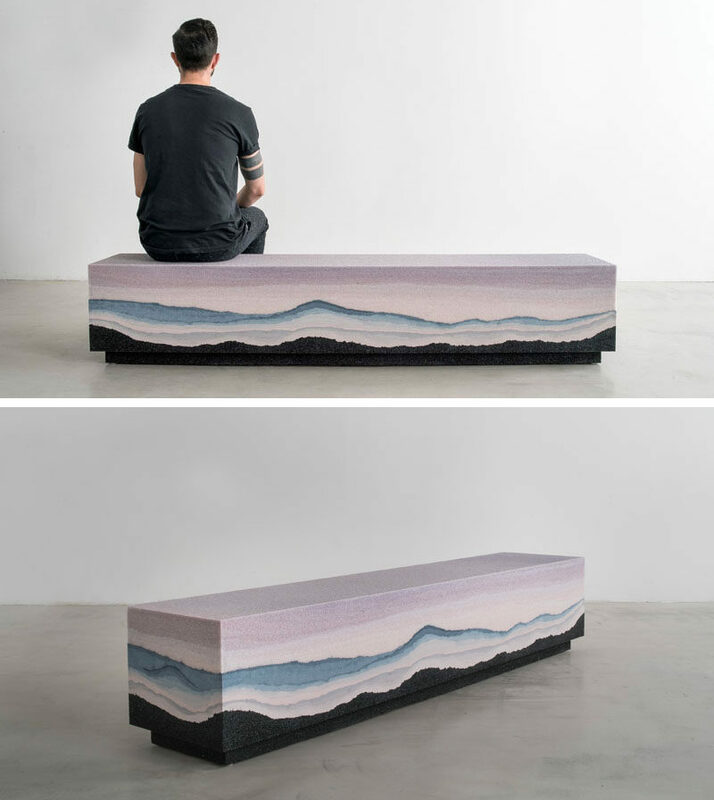 Each piece is made from three materials – Silica, which composes the foreground, hand-dyed sand is used to suggest layers of earth and distant mountain ranges, and Crystalline, a translucent powdered glass, makes up the skies and bodies of water. 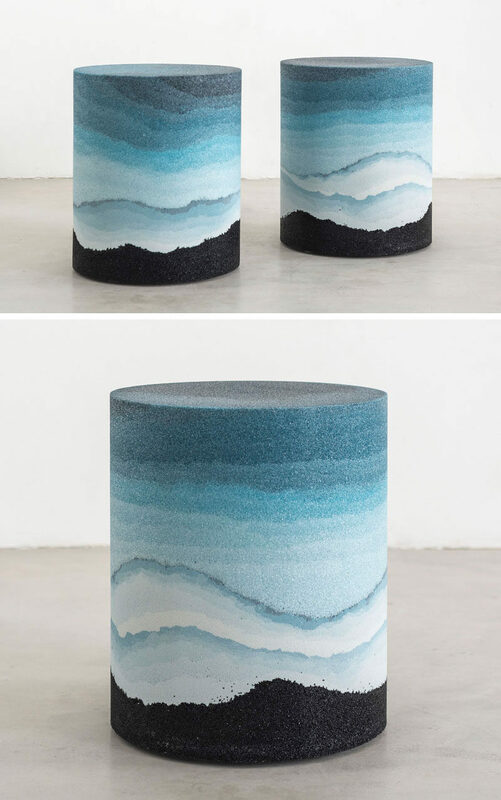 This drum stool / table is like looking at the night sky with mountains in darkness. This desk, with its soft colors, almost looks like a beach, with blue ocean waters and pale tan sand. The credenza looks like a dark desert landscape with a light blue sky. The coffee table is similar to a lake surrounded by mountains that also reflect in the water. The bench, with its dark base, blues and purples, is like the sun setting over a mountain range. 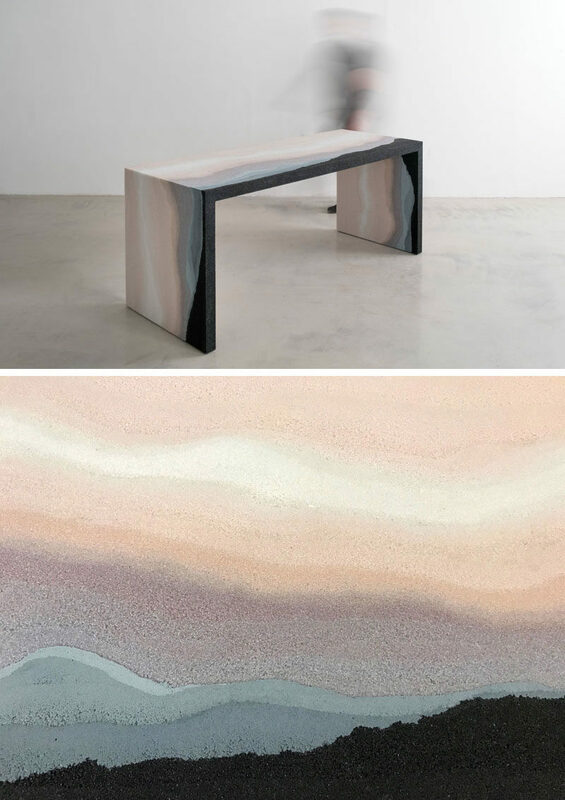 This desk appears to different shades of the sky combined with an uneven landscape. The mirror, which has the sand layered on top of the mirror, is like a mountain range.